Exposure to toxic chemicals while in the womb or in early life may weaken a baby's immune system response to the tuberculosis (TB) vaccine, researchers say. The study focused on two common toxins: PCBs, an industrial chemical; and DDT, used in pesticides. These so-called "persistent" pollutants are not easily broken down and remain a health threat years after being banned. PCBs were banned in the United States in 1979. DDT is banned in the United States, but is still used in some countries to control malaria-carrying mosquitoes, the study authors, from the University of Rochester in New York, said in a university news release. "There are thousands of pollutants similar to PCBs and DDT with unknown health implications," study leader Dr. Todd Jusko, assistant professor in the departments of environmental medicine and public health services, said in the news release. "Our work provides a foundation for how these types of chemicals affect the developing immune system in infants around the world." Fetal exposure to two chemicals -- polychlorinated biphenyls, or PCBs, and DDE, a product of the breakdown of the insecticide DDT -- can dampen infants' immune response to the tuberculosis vaccine, according to a new study of mothers and children. Both chemicals have been banned in many countries, including the United States, but are considered persistent pollutants, which pose health risks long after being introduced into the environment, can accumulate. The effects of such pollutants can pass between species through the food chain. PCBs were used in manufacturing and consumer products in the United States until 1979, but most people have detectable PCB concentrations in their blood. DDT was banned in the United States in 1972, though many countries still use it to control the spread of malaria by mosquitoes. There are thousands of pollutants similar to PCBs and DDT with unknown health implications, said Dr. Todd Jusko, an assistant professor at the University of Rochester, in a press release. Former Biochemistry graduate student and current Chair of Biology, Dr. Gloria Culver, will be formally installed as dean of the School of Arts & Sciences during an investiture ceremony at 4 p.m. today in the Interfaith Chapel on the River Campus. University Trustee Ani Gabrellian ’84 will provide opening remarks, followed by words from Provost Peter Lennie, the Robert L. and Mary L. Sproull Dean of the Faculty of Arts, Sciences & Engineering. Mariette Westermann, vice president of the Andrew W. Mellon Foundation, and Jon Lorsch, director of the National Institute of General Medical Sciences, will serve as guest speakers. Following the ceremony, a reception will be held in the Hawkins-Carlson Room of Rush Rhees Library. Anna Bird has received the Randy N. Rosier Award for public speaking ($1000 in travel funds received at the URMC CMSR Symposium 2015) and the American Association of Immunologists (AAI) Trainee Abstract Award ($750 in travel funds for AAI New Orleans Conference, 2015). Kerry O'Banion, M.D., Ph.D., has been awarded $1.8 million from NASA to study whether extended deep space travel places astronauts at risk for neuro-degenerative diseases like Alzheimer's. The grant is one of nine announced by NASA that will fund research that employ beams of high-energy, heavy ions simulating space radiation. The studies will be conducted in part at the NASA Space Radiation Laboratory at Brookhaven National Laboratory on Long Island. By colliding matter together at very high speeds, the accelerators at Brookhaven can reproduce the radioactive particles found in space. The studies will seek to better understand and reduce the risks to humans associated with long journeys in deep space, specifically focusing on neurological and cardiovascular diseases and cancer. Understanding the potential health impact of space travel is a priority for NASA as it develops future plans for maned voyages to Mars and other destinations. Phipps discovered a new function for a protein known as Thy1 (formally called CD90), linking it to fat cell accumulation. Congratulations to Nguyen Mai for winning first place for the poster competition at the 2015 APSA/Tri-Institutional MSTP Conference at SUNY Upstate in Syracuse, NY. This research confirms earlier observations that, when activated to fight inflammation, the brain's immune system plays a role in the removal of amyloid beta, said M. Kerry O'Banion, M.D., Ph.D., a professor in the University of Rochester Department of Neurobiology and Anatomy, the Del Monte Neuromedicine Institute, and the lead author of the study. We have also demonstrated that the immune system can be manipulated in a manner that accelerates this process, potentially pointing to a new therapeutic approach to Alzheimer's disease. The findings are the culmination of years of investigation that were triggered when O'Banion and his colleagues made a surprising discovery while studying mouse models of Alzheimer's disease. They observed that amyloid beta plaques – which scientists believe play a major role in the disease – were being cleared in animals with chronic brain inflammation. Fatima has successfully defended her PhD thesis. Congratulations to Monique Mendes, 1st year NGP student! Monique was recognized at the 2014 Annual Biomedical Research Conference for Minority Students (ABRCMS) for an outstanding poster/ oral presentation and was awarded an AHA/ASA Travel Award. This award is given to recognize promising and outstanding investigators in the early stages of their careers, and provide travel assistance to participate in the upcoming 2015 Scientific Sessions. Scientific Sessions is the American Heart Association's largest gathering of scientists and healthcare professionals devoted to the science of cardiovascular disease and stroke and the care of patients suffering from these diseases. It is the leading cardiovascular meeting in the country with over 17,000 professionals attending annually, and over 22,000 total attendees. Programming for this meeting is designed to improve patient care by communicating the most timely and significant advances in prevention, diagnosis and treatment of cardiovascular disease from many different perspectives. Sessions provides five days of comprehensive, unparalleled education through more than 4,000 presentations given by some of the world's top leaders in the areas of cardiovascular disease, as well as a chance to experience more than 300 exhibitors showcasing the latest cardiovascular technology and resources. Most of us at one time or another have counted the seconds between a lightning flash and its thunder to estimate distance. University researcher Duje Tadin and his colleagues have discovered that humans can unconsciously notice and make use of sound delays as short as 40 milliseconds (ms) to fine tune what our eyes see when estimating distances to nearby events. Much of the world around us is audiovisual, says Tadin, Associate Professor of Brain and Cognitive Sciences and senior author of the study. Although humans are primarily visual creatures, our research shows that estimating relative distance is more precise when visual cues are supported with corresponding auditory signals. Our brains recognize those signals even when they are separated from visual cues by a time that is too brief to consciously notice. For the study, published in PLOS ONE, researchers used projected three-dimensional (3D) images to test the human brain's ability to use sound delays to estimate the relative distance of objects. For the entire story, visit the Univ. Rochester Newscenter. On October 29, Dr. Lynne E. Maquat received a 2015 Canada Gairdner International Award, for her work discovering and elucidating the mechanism of mRNA decay pathways. Dr. Maquat was accompanied during presentation of the award by University of Rochester President Joel Seligman, Dean Mark Taubman, and the US Ambassador to Canada, Bruce Heyman (see photo). The sold out annual black tie gala took place at the Royal Ontario Museum in Toronto, Canada and was attended by members of the health care, academic, private and public sectors (additional pictures here). Among the attendees were Nobel Laureate Dr. Phillip Sharp, His Excellency the Right Honourable David Johnston, Governor General of Canada, and the Swiss and Japanese Ambassadors to Canada, who accompanied recipients of the Canada Gairdner International Award from those countries. Leading up to this event, Dr. Maquat visited four local universities where she spoke to high school students about her personal story of how she became interested in research and what she hopes to achieve through her work. She also met with post-docs and graduate students at each university as well as speaking to faculty members about their research. Following the gala, Dr. Maquat attended and spoke at a 2015 Gairdner Symposium RNA and The New Genetics at the University of Toronto, which she helped coordinate. Her last event occurred at the University of New Brunswick, Fredericton where she once again spoke to high school students On being a Scientist: Uncovering the mysteries of life and met with post-docs and graduate students about their research. Dr. Maquat took every opportunity to be part of the National Program, where the goal of these programs is to contribute to Canadian science culture and innovation, and to be part of the Student Outreach Programs where she helped realize one of the Gairdner Foundation’s missions to inspire young people to consider a career in science, and to increase their awareness of the value of scientific research. David R. Williams, widely regarded as one of the world’s leading experts on human vision, has been named the recipient of Sigma Xi’s 2015 William Procter Prize for Scientific Achievement. The prize is given annually since 1950 in recognition of outstanding achievement in scientific research and demonstrated ability to communicate the significance of this work to scientists in other disciplines. Past Procter Prize recipients have included Jane Goodall, Vannevar Bush, Margaret Mead, Murray Gell-Mann, and Rita Colwell. He will be presented the Procter Prize at an evening ceremony on Saturday, Oct. 24 in Kansas City, during the scientific research society Sigma Xi’s annual meeting. For the entire article, visit the Rochester NewsCenter. Edward Brown's research is a mixture of photonics, microscopes and a little nudge from his mom. Brown, who teaches biomedical engineering at the University of Rochester Medical Center, has built a laser-and-microscope device to study how likely cancer cells will spread throughout the body. Specifically, he's looking at how likely cancer cells have spread inside breast cancer patients who already have had the tumor removed. Learning more about the cell movement, called metastasis, is key to a larger overtreatment problem that Brown is trying to fix. When patients first realize they have breast cancer, it's unclear whether the cancer cells have spread, so doctors recommend chemotherapy as a precaution. However, Brown and other medical researchers believe patients are being overtreated because doctors are giving chemo to patients who may not need it. LASIK revolutionized vision correction in the 1990s. Now, a new technology arising from research conducted by Wayne Knox, Professor of Optics and Physics; Krystel Huxlin, Professor of Ophthalmology; and Jonathan Ellis, Assistant Professor of Mechanical Engineering, may do the same, notes UR Ventures Technology Review. Known as LIRIC (Laser Induced Refractive Index Change), this ground-breaking method also uses a laser to correct the optical properties of the eye, but that's where the similarities to LASIK end. The older technology uses two lasers and includes cutting the cornea to create a flap and then pulling that flap back to expose the inner cornea. A laser is then applied to ablate and reshape the corneal tissue to achieve the desired focus. The corneal flap is repositioned and the healing process begins. Complications are rare, but as with any surgery, are a concern. Fear of complications and of having one's eye cut are big reasons why less than 2 percent of people who are eligible for LASIK undergo the procedure. The LIRIC method uses a laser at a much lower power and does not cut or remove any tissue. Instead, it is a non-invasive procedure that alters the refractive index of the corneal tissue to correct vision. Since the procedure doesn't thin the cornea like LASIK, it may be repeated many times over the course of a patient's lifetime as the eye grows and changes. This technology has been licensed to Clerio Vision, Inc., a local startup poised to bring this new treatment to market. Clerio was started by a team of entrepreneurs with proven track records - Mikael Totterman (VirtualScopics, iCardiac), Alex Zapesochny (Lenel, iCardiac), Scott Catlin (AMO, Abbott Medical Optics - and now with UR Ventures), and Sasha Latypova (VirtualScopics, iCardiac). The company successfully concluded an oversubscribed Series A round of fundraising with participation from three venture capital firms, and is considering a Series B round to further accelerate product and clinical development. They have proven efficacy in animal models and hydro-gels (contact lenses), and plan to conduct human studies early in 2016. Nebraska researcher Howard E. Gendelman designed the investigational drug delivery system–a so–called nanoformulated protease inhibitor. The nanoformulation process takes a drug and makes it into a crystal, like an ice cube does to water. Next, the crystal drug is placed into a fat and protein coat, similar to what is done in making a coated ice–cream bar. The coating protects the drug from being degraded by the liver and removed by the kidney. When tested together with URMC–099, a new drug discovered in the laboratory of UR scientist Harris A. ( Handy ) Gelbard M.D., Ph.D., the nanoformulated protease inhibitor completely eliminated measurable quantities of HIV. URMC–099 boosted the concentration of the nanoformulated drug in immune cells and slowed the rate at which it was eliminated, thereby prolonging its therapeutic effect. October 2015. Ann Dozer, Ph.D. was selected as one of 163 nurse leaders to be inducted as a fellow in the American Academy of Nursing for 2015. Academy fellows represent all 50 states, District of Columbia, and 24 countries and include government and hospital administrators, college deans, and renowned scientific researchers. 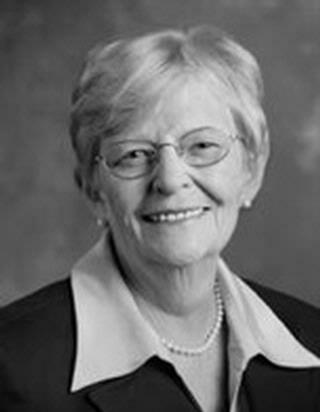 Barbara Iglewski, professor emeritus in the Department of Microbiology and Immunology, will be inducted into the National Women's Hall of Fame this weekend. She is the third faculty member to be enshrined in Seneca Falls: Judith Pipher, professor emeritus of physics and astronomy, and Loretta Ford, founding dean of the School of Nursing, were inducted in 2007 and 2011, respectively. Join WXXI for a special preview screening of a new series that tells the story of the inner workings of the brain. The Brain with Dr. David Eagleman, a new six one-hour series that explores the human brain in an epic series that reveals the ultimate story of us, why we feel and think the things we do, premieres on WXXI-TV in October 14th. But before it does, you can enjoy a sneak preview of the series on the big screen at The Little Theater (240 East Avenue) on Wednesday, September 30 at 7 p.m. The event is free, but seats are first come first served. WXXI is pleased to partner with the Rochester Museum & Science Center to bring you this screening, followed by a panel discussion featuring Liz. 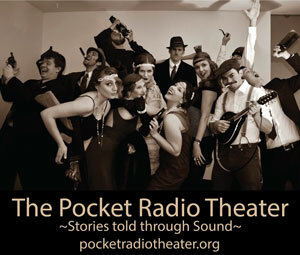 For further information, please visit the WXXI website. In 2014, Humberto was selected for the Latin America Training Program by the Society for Neuroscience and the International Brain Research Organization. This program was formerly known as the Ricardo Miledi Neuroscience Training Program. The Program allowed 15 young scientists from Latin America and the Caribbean to attend a three week course where top faculty from across the region and North America provided the young scientists with lectures, lab exercises using cutting edge techniques, and training on vital professional development topics - one speaker was Dr. Deborah Cory-Slechta. The completion of the year-long participation culminated with a travel grant to attend the Society for Neuroscience Meeting 2015 in Chicago, IL and to present science at the International Fellows Poster Session to be held on Saturday, October 17 from 6:30 pm-8:30 pm in Hall A of McCormick Place. OUTSTANDING GRADUATE STUDENT TEACHER: Jim Miller, Ph.D. EXCELLENCE IN POSTDOCTORAL MENTORING: Luis Martinez-Sobrido, Ph.D.
GRADUATE ALUMNI AWARD: Deborah Fowell, Ph.D. OUTSTANDING T32 PROGRAM DIRECTOR: Stephen Dewhurst, Ph.D.
FIRST YEAR EXCELLENCE IN TEACHING: Constantine Haidaris, Ph.D. FACULTY MENTORING AWARD FOR BASIC SCIENCE: Minsoo Kim, Ph.D.
SPECIAL COMMENDATION FOR FIRST YEAR TEACHING: John Frelinger, Ph.D. OUTSTANDING POSTDOCTORAL MENTOR AWARD: Aitor Nogales Gonzalez, Ph.D. OUTSTANDING POSTDOCTORAL RESEARCHER AWARD: Eva-Stina Edholm, Ph.D. The Environmental Health Sciences Center (EHSC) would like to welcome Dr. Martha Susiarjo to URMC. Dr. Martha Susiarjo applies her background in epigenetics to understanding whether epigenetic regulation of genes contributes to gene-environment interaction during early development. She joins us as Assistant Professor from the University of Pennsylvania, where she recently completed her postdoc studying environmental estrogens and regulation of imprinted genes (genes contributed by only one parent). Dr. Susiarjo employs a mouse model to understand the mechanism(s) by which environmental exposures – obesogenic endocrine disrupting chemicals in particular – during in utero development can shape the future health outcomes of the offspring. She hopes to identify mechanisms in order to better inform exposure prevention efforts. Dr. Susiarjo looks forward to collaborating with center members to utilize her expertise in epigenetics, especially DNA methylation, in various models of environmental perturbations. She also hopes collaborative efforts can elucidate how nutritional intervention may provide protective effects on environment-induced developmental outcomes. Most hearing aids on the market today are designed to mimic what happens in our inner ear - specifically the amplifying role of the outer hair cells. However, the lab of Laurel Carney, Professor of Biomedical Engineering, is studying what happens beyond the inner ear - in the complex network of auditory nerve fibers that transmit the inner ear's electrical signals to the brain, and in the auditory center of the midbrain, which processes those signals. Therein lies the key to creating hearing aids that not only make human speech louder but clearer, Carney believes. An important focus of her research uses a combination of physiological and behavioral studies, and computer modeling, to study the 30,000 auditory nerve fibers on each side of our brain that transmit electrical signals from the inner ear. Critical to this is the initial transduction of mechanical energy to electrical signals that occurs in the inner hair cells of the inner ear's organ of Corti. This is critical for shaping the patterning of responses in the auditory nerves, and the patterning of those responses at this first level, where the signal comes into the brain, has a big effect on the way the mid brain responds to the relatively low frequencies of the human voice, Carney explained. In people with healthy hearing, the initial transduction results in a wide contrast in how various auditory nerve fibers transmit this information. The responses of some fibers are dominated by a single tone, or harmonic, within the sound; others respond to fluctuations that are set up by the beating of multiple harmonics, Carney said. In the mid brain, neurons are capable of assimilating this contrast of fluctuating and nonfluctuating inputs across varying frequencies. They begin the process of parsing out the sounds of speech and any other vocalizations that involve low frequencies. A better understanding of how this process works in the midbrain, Carney believes, could yield new strategies for designing hearing aids. A lot of people have tried to design hearing aids based just on what is going on in the inner ear, but there's a lot of redundancies in the information generated there. We argue that you need to step back and, from the viewpoint of the midbrain, focus on what really matters. It's the pattern of fluctuations in the auditory nerve fibers that the midbrain responds to. The sort of strategies we're suggesting are not intuitive. The idea of trying to restore the contrast in the fluctuations across different frequency channels has not been tried before. The burden is on us to prove that it works, she added. To that end, Carney works closely with Joyce McDonough, Professor of Linguistics, in exploring how auditory nerve fiber transmissions play a role in coding speech sounds. Her lab also works closely with that of Jong-Hoon Nam, Assistant Professor of Mechanical Engineering and of Biomedical Engineering, whose inner-ear studies were described in this newsletter last week. Carney shares what her lab is learning about the interface of auditory nerve fiber signaling with the brain, and in return, we try to include in our models a lot of the nonlinear properties of the inner ear that he (Nam) has been working on. By interacting with his lab, we hope to continue to modernize our model as he discovers more, Carney said. The patent titled “Chimeric Fibronectin Matrix Mimetics and Uses Thereof” (US 9,072,706) has recently been assigned to the University of Rochester with inventors Denise C. Hocking, Ph.D. (Pharmacology and Physiology, BME, RCBU) and Daniel Roy, Ph.D. (BME PhD 2012 alumnus). The patent relates to a series of recombinant fibronectin peptide mimetics developed to promote wound repair. The technology falls under a new and exciting class of therapies known as wound biologics. The primary commercial application for this technology is to promote healing of hard-to-heal or chronic wounds, including diabetic, venous, and pressure ulcers, which impose a significant health care burden worldwide. Encouraging results from recent studies indicate that topical application of these fibronectin peptide mimetics to full-thickness excisional wounds in diabetic mice accelerates wound closure and promotes granulation tissue deposition, remodeling, and re-vascularization. Denise Hocking is an Associate Professor of Pharmacology and Physiology and of Biomedical Engineering. Daniel Roy is currently a post-doctoral fellow at the US Army Institute of Surgical Research in San Antonio, TX. Garrick Salois, 1st year student, is this year's recipient of the Irving L. Spar Fellowship Award. Humberto Mestre, 1st year student, was awarded the Merritt and Marjorie Cleveland Fellowship. Holly Beaulac, 1st year student, received this year's Graduate Alumni Fellowship Award. Jenn Stripay, 5th year student, was selected to receive this year's Outstanding Student Mentor Award. Eric Comeau is the recipient of an American Heart Association Pre-Doctoral Fellowship. The fellowship will support Eric’s project titled “Ultrasound standing wave field technologies for cell patterning and microvessel network formation in vitro and in situ”. Through this project, Eric will advance new ultrasound technologies for tissue engineering applications. Eric is a graduate student in the Department of Biomedical Engineering and is co-mentored by Professor Diane Dalecki (BME) and Professor Denise C. Hocking (Pharmacology and Physiology; BME). Eric is also a student member of the Rochester Center for Biomedical Ultrasound (RCBU). David Williams, widely regarded as one of the world's leading experts on human vision, has been named the 2015 recipient of the Beckman-Argyros Award in Vision Research. Williams pioneered the use of adaptive optics technologies for vision applications. He serves as the William G. Allyn Professor of Medical Optics, director of the Center for Visual Science and dean for research in Arts,	Science, and Engineering at the University of Rochester. The award, bestowed by the Arnold and Mabel Beckman Foundation, rewards an individual who has made transformative breakthroughs in vision research. Williams will receive a total of $500,000, along with a solid gold commemorative medallion. It's an incredible honor for me to receive this award from the Arnold and Mabel Beckman Foundation, said Williams. He added that one aspect that made this award particularly special is that it allows our group to take risks. A small company started by a neuroscientist at the University of Rochester has moved closer to providing doctors with what he says is a simple, computer-based tool to help detect early signs of Alzheimer's disease or other forms of dementia. Cerebral Assessment Systems has received marketing approval from the U.S. Food and Drug Administration for Cognivue, a cognitive-assessment tool that functions somewhat like a video game. A patient can perform the inexpensive and simple test while a time-strapped primary-care physician tends to other patients. The 10-minute, non–invasive examination can detect subtle lapses in the brain’s perceptual ability that may signal the early stages of mental decline caused by dementia. The federal government's approval to market the device comes as Alzheimer's researchers everywhere step up the pursuit for easier and more inexpensive ways to identify dementia in its earliest stages. Look, there is a late-life tsunami of late-life cognitive decline coming at us, and health-care providers are standing on the beach, said Charles J. Duffy, a neurology professor at the University of Rochester Medical Center who founded the company. What we are all about is making cognitive care part of primary care. Could Your Sleep Position Help Reduce Alzheimer’s Risk? Researchers at SUNY Stony Brook and The University of Rochester think so. Read More: Could Your Sleep Position Help Reduce Alzheimer’s Risk? Great news from Environmental Medicine—its Environmental Health Sciences Center (EHSC) core grant was recently renewed for the 41st straight year. The department ushered in the $7.5 million, five-year, EHSC award from the National Institute of Environmental Health Sciences (with a remarkable score of 12). She is also overseeing the setup of EHSC’s new epigenetics core facility. Funding for the Center began in 1975 and has been continuously supported by the NIH for costs related to infrastructure, career development, biostatistics, and to support collaborations across research departments at URMC. Environmental Medicine also hired a new scientist with an interest in reproductive toxicity and epigenetics, a hot field concerned with investigating the environmental factors (such as the endocrine-disrupting chemical bisphenol A) that cause changes in gene expression across generations. Martha Susiarjo, Ph.D., completed a post-doctoral fellowship at the University of Pennsylvania and will join the UR as an assistant professor Sept. 1. She brings an NIH K99 award and expertise to the new epigenetics core facility. The EHSC will celebrate 50 years of research with a two-day symposium Sept. 23-24, which will include a Science Café Series at the Pittsford Barnes & Noble, a poster session in Flaum Atrium, and a full slate of presentations at URMC from faculty and local civic leaders. Planning is under way; stay tuned for more details. Work in our laboratory is aimed at understanding how auditory and visual information are integrated since we know this process is crucial for recognizing objects by sight and sound, communicating effectively, and navigating through our complex world, said Lizabeth Romanski, Ph.D., an associate professor in the University of Rochester Department of Neurobiology and Anatomy and co-author of the study. Our recent study demonstrates that the prefrontal cortex plays an essential role in audiovisual working memory, and when this area is switched off our ability to remember both the auditory and visual cues is impaired, said Bethany Plakke, Ph.D., a postdoctoral fellow in the Romanski lab and co-author of this study. A series of experiments with infants 5 to 7 months old has shown that portions of babies' brains responsible for visual processing respond not just to the presence of visual stimuli, but also to the mere expectation of visual stimuli, according to researchers from the University of Rochester and the University of South Carolina. We show that in situations of learning and situations of expectations, babies are in fact able to really quickly use their experience to shift the ways different areas of their brain respond to the environment, said Lauren Emberson, who conducted the study at the University of Rochester's Baby Lab while a research associate with Richard Aslin in the department of brain and cognitive sciences. For more information, visit the University of Rochester Newscenter. Laurel Carney, a professor of Biomedical Engineering, has been recognized for her work by the premier scientific organization in the field of acoustics. 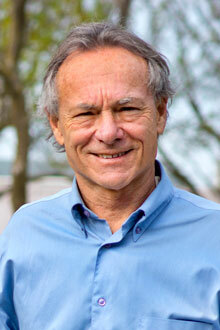 The Acoustical Society of America has awarded Carney the William and Christine Hartmann Prize in Auditory Neuroscience. It's truly a great honor to receive an award created by Bill and Christine Hartmann, two of my role models, said Carney. I welcome the challenge to emulate their life of discovery, presentation, publication, service, and education throughout the world. William and Christine Hartmann established the award with a donation to recognize and honor research that links auditory physiology with auditory perception or behavior in humans or other animals. William Hartmann is a physicist, psychoacoustician, and former president of the Acoustical Society of America. His contributions to the field involved pitch perception, signal detection, modulation detection, and the localization of sound. In her research lab, Carney is working to better understand how the brain translates sounds into patterns of electrical impulses. By studying physiology, human hearing, and computer models, Carney hopes to learn how the brain distinguishes sounds in noisy environments and why even a small degree of hearing loss can lead to major problems. Her ultimate goal is to develop effective strategies to help people who have experienced hearing loss. Carney earned her M.S. and Ph.D. degrees in electrical engineering at the University of Wisconsin-Madison. She was an associate professor of biomedical engineering at Boston University and professor of biomedical engineering at Syracuse University before joining the faculty at the University of Rochester in 2007, where she serves as professor in three departments—biomedical engineering, neurobiology and anatomy, and electrical and computer engineering. For additional information, visit the Rochester Newsroom. Jonathan Mink, M.D., Ph.D., chief of Child Neurology at Golisano Children’s Hospital, is the first recipient of the Tourette Association of America’s Oliver Sacks Award for Excellence. The award, named for the famous British neurologist, was to be presented at the First World Congress on Tourette Syndrome and Tic Disorders, but due to a scheduling conflict, representatives from TAA instead traveled to Rochester to present him with the award in a surprise ceremony. The award is in recognition of his many years of leadership, mentorship, research, and care on behalf of all people touched by Tourette syndrome and tic disorders around the world. The University of Rochester School of Medicine and Dentistry has received nearly $4 million for a program that would serve as a national model to educate post-doctoral students who are deaf or hard-of-hearing. The grant makes it possible to expand and strengthen an ongoing, unique relationship between the UR, Rochester Institute of Technology and RIT’s National Technical Institute for the Deaf to prepare deaf and hard-of-hearing scholars for careers in the biomedical and behavioral sciences. Two years ago the local institutions partnered to build a similar program for graduate students, facilitating the transition from master’s degree programs offered at RIT to Ph.D. programs at UR. Our brains track moving objects by applying one of the algorithms your phone's GPS uses, according to researchers at the University of Rochester. 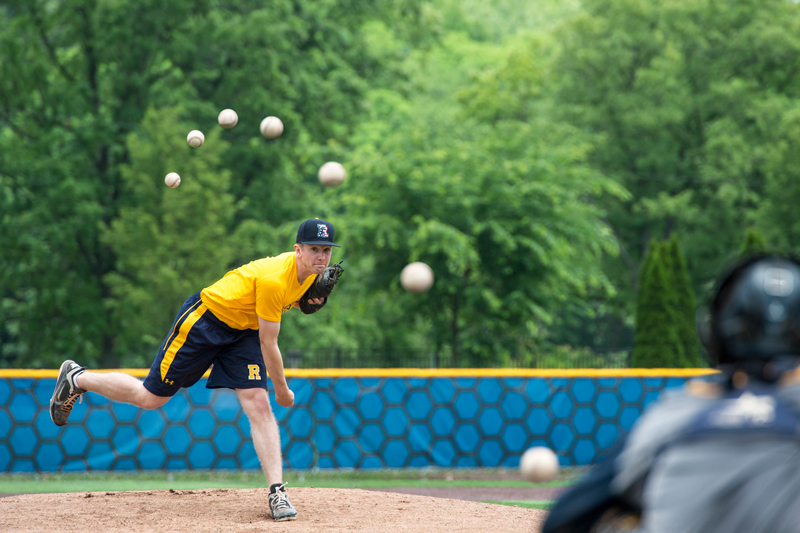 This same algorithm also explains why we are fooled by several motion-related optical illusions, including the sudden break of baseball's well known curveball illusion . Like GPS, our visual ability, although quite impressive, has many limitations, said the study's coauthor, Duje Tadin, associate professor of brain and cognitive sciences at the University of Rochester. The new open-access study published in PNAS shows that our brains apply an algorithm, known as a Kalman filter, when tracking an object's position. This algorithm helps the brain process less than perfect visual signals, such as when objects move to the periphery of our visual field where acuity is low. Two NGP students are presenting their defense seminars next week. To read their abstracts, visit the Defense Seminars site. Congratulations to Brianna Sleezer on becoming the first intern matched from URBEST! Brianna Sleezer, a neuroscience PhD graduate student in the Hayden Lab, is URBEST's (Broadening Experiences in Scientific Training) first intern that has been matched with a host: The Children's Environmental Health Network. Brie made things happen by connecting with Nsedu Obot Witherspoon, the Executive Director for CEHN, at a URBEST Career Story. She'll be starting her three-month internship at the beginning of September. URBEST is a five-year, NIH-funded program to help health science and biomedical PhD graduate students and postdoctoral appointees to explore and better prepare themselves for diverse career paths. The program combines educational activities to highlight research-related careers and to instruct in leadership and professionalism. The URBEST program also provides opportunities to a subgroup of trainees for short-term (hours per week) or long-term (full time for up to three month) internships as a capstone experience. Internship candidates are selected based on their research productivity, engagement in URBEST activities and PI approval. Kerry O'Banion, interim chair of the Department of Neurobiology and Anatomy, and University President Emeritus Thomas Jackson will present Patent Infringement: COX Fighting , from noon to 1 p.m. Wednesday, June 17, in Helen Wood Hall Auditorium. The event is part of the CTSI workshop series, Good Advice: Case Studies in Clinical Research, Regulation, and the Law . John J. Foxe, Ph.D., a nationally-regarded scientist in the field of neurobiology, has been named the research director of the DelMonte Neuromedicine Institute (DNI) and the Kilian J. and Caroline F. Schmitt Chair of the Department of Neurobiology and Anatomy at the University of Rochester School of Medicine and Dentistry. The University of Rochester has long been home to some of the nation’s most innovative and groundbreaking research in the field of neuroscience and neuromedicine, said Joel Seligman, president of the University of Rochester. John’s appointment signals our determination to make this field a centerpiece of our progress as a University and Medical Center. I am honored to be taking the helm of the DNI at this incredibly exciting time in modern neuroscience research, said Foxe. The University of Rochester is already world-renowned for its superb work in this field and we now have the opportunity to build an even stronger presence. Tens of millions of Americans suffer from a major mental illness each year, be it depression or anxiety, a major psychotic disorder, or Alzheimer’s disease, stroke, or addiction. And the list goes on. The National Institutes of Health estimates that only about half of these people ever receive treatment. We can and we must do better. It is only through research that we can develop new effective treatments and I am committed to placing the DNI and the University of Rochester at the very forefront of these efforts. Suzanne Haber leads a research team to investigate OCD. She says the disease is characterized by intrusive, ruminating thoughts (obsessions), and impulses to carry out repetitive behaviors (compulsions), despite the awareness by most patients that these behaviors don't make sense. The goal of a new $10 million grant awarded to the scientists is to improve our understanding of the brain networks that play a central role in obsessive-compulsive disorder (OCD). Together with leading mental health researchers at four other institutions in the U.S., they will pinpoint specific abnormalities within the brain circuits that are associated with the disease and use this information to guide new treatment options for the three million-plus Americans who live with the disorder. The five-year grant from the National Institute of Mental Health (NIMH) establishes a new Silvio O. Conte Center for Basic and Translational Mental Health Research at the University of Rochester. Conte Centers are designed to bring scientists with diverse but complimentary backgrounds together to improve the diagnosis and treatment of mental health disorders. The Democrat and Chronicle was one of 12 Gannett newspapers that partnered with a USA Today investigation, Biolabs in Your Backyard, about the concerns and dangers that can accompany biomedical research. The investigation focused on more than 200 high-containment biomedical labs around the nation that are equipped to handle select agents and other dangerous research. Research involving select agents is considered by the federal government to be the most worrisome biomedical lab work because of potential health risks and security concerns, especially since some of these agents and toxins can be used in biological warfare. The University of Rochester has one high-containment lab at its medical center that in recent years has worked with Francisella tularensis, which is a Tier I select agent, the highest level of concern. Otolaryngology associate professor, Benjamin Crane, MD, PhD, was awarded the Nicholas Torok Vestibular Award by the American Neurotology Society at the 50th Annual meeting in Boston on April 25th. The title of his presentation was An automated vestibular rehabilitation method for unilateral vestibular hypofunction. The $1500 award is offered by the Society for the best lecture on an innovative observation, experience or technique in the field of Vestibular Basic Science, i.e., physiology, pathology or subjects serving clinical progress. A new $1.7 million grant will bring together a team of researchers to study – an ultimately thwart – the chain reaction that occurs in the body after cardiac arrest that can ultimately lead to brain damage and death. “While the biological sequence of events is triggered by cardiac arrest, the death and disability associated with this event is the result of a broader systemic injury caused the initial loss of blood flow and subsequent tissue inflammation once blood circulation is restored,” said University of Rochester Medical Center neurologist Marc Halterman, M.D., Ph.D., the principal investigator of the study. In fact, it is the cumulative effect of this systemic injury on the brain, and not the heart – that ultimately leads to mortality in the disorder. The 2015 Vincent duVignaeud Award for excellence in basic research will be awarded at this year’s commencement to Dr. Steven Baker who completed his Ph.D. in Luis Martinez-Sobrido’s lab. The 2015 Wallace O. Fenn Award for excellence in basic research will be awarded at this year’s commencement to Dr. Julie Sahler who completed her Ph.D. in Richard Phipps’ lab. Award Recipients for the Melville A. Hare Award for Excellence in Research have been awarded to Dr. Denise Skrombolas who completed her Ph.D. in the lab of John Frelinger and Dr. Benson Cheng who completed his Ph.D. in Luis Martinez-Sobrido’s lab. The Melville A. Hare Award for Excellence in Teaching has been awarded to Jennifer Colquhoun. Jennifer is in Paul Dunman’s laboratory. 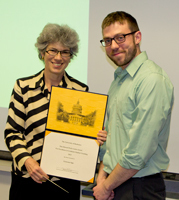 A Departmental Peer Mentoring Award was established this year. The recipient of the 2015 award is Lisbeth Boule. Lisbeth is in Paige Lawrence’s laboratory. The latest research by Professor Diane Dalecki (BME, RCBU) and Professor Denise C. Hocking (Pharmacology & Physiology, BME, RCBU) was recognized with the Best Paper Award at the Micro- and Nanotechnology Sensors, Systems, and Applications Conference of the SPIE Defense + Security Symposium held recently in Baltimore, Maryland. Their invited paper titled “Guiding Tissue Regeneration with Ultrasound In Vitro and In Vivo” detailed three biomedical ultrasound technologies under development in their laboratories to stimulate tissue formation and regeneration. Co-authors of the paper included Sally Child, Carol Raeman, and BME graduate students Eric Comeau and Laura Hobbs. One technology under development employs forces within an ultrasound standing wave field to provide a noninvasive approach to spatially pattern endothelial cells and thereby guide the development of complex microvessel networks. A second technology uses ultrasound to site-specifically control the microstructure of collagen fibers within engineered hydrogels to direct cell function. The third line of research focuses on developing ultrasound as a therapeutic approach to enhance tissue regeneration in chronic wounds. These ultrasound technologies offer new solutions to key challenges currently facing the fields of tissue engineering, biomaterials fabrication, and regenerative medicine. The SPIE DSS 2015 Defense + Security Symposium consisted of 32 separate conferences spanning 5 days with over 1200 total presentations. Conferences focused on a wide range of topics of interest to defense and security, including imaging, sensing, photonics, materials, and biomedical applications. The Symposium is the leading meeting for scientists, researchers and engineers from industry, military, government agencies, and academia throughout the world. The Micro- and Nanotechnology Sensors, Systems, and Applications Conference is one of the two largest conferences within the entire Defense + Security Symposium, and Professors Hocking’s and Dalecki’s presentation was one of over 100 invited presentations in the conference. A team of researchers led by Associate Professor, Dr. David Rich (Public Health Sciences & Environmental Medicine) studied birth weights before, during and after the Beijing Olympics, during which widespread pollution reduction efforts were instated. They found infants born shortly after the Olympics had significantly higher birth weights than infants born in other years. The researchers compiled information from 83,672 term births (37 to 42 weeks gestational age at birth) to mothers in four urban districts in Beijing. They compared birth weights for mothers whose eighth month of pregnancy occurred during the 2008 Olympics/Paralympics with those whose eighth month of pregnancy occurred at the same time of year in the years before (2007) and after (2009) the games when pollution levels were at their normally higher levels. They found that the babies born in 2008 were on average 23 grams larger than those in 2007 and 2009. Four University of Rochester graduate students and seven alumni have been named recipients of the National Science Foundation Graduate Research Fellowships. Additionally, five current students and 11 recent alumni were given honorable mentions by the NSF. The fellowship, which is part of a federally sponsored program, provides up to three years of graduate study support for students pursing doctoral or research-based master’s degrees. Since the program’s inception in 1952, NSF has provided fellowships to individuals selected early in their graduate careers based on their demonstrated potential for significant achievements in science and engineering. Of the more than 16,500 applicants this year, only 2,000 were awarded fellowships. The fellowship includes a three-year annual stipend of $34,000, a $12,000 educational allowance to the institution, and international research and professional development opportunities for recipients. Congratulations Rianne on the honorable mention!! For the complete list of recipients, visit the story at the UR Newsroom. The new instrumentation we are developing builds on technology we had developed previously to improve vision through laser refractive surgery and contact lenses, as well as to diagnose retinal disease, said Rochester's principal investigator David Williams. This is the first time we have designed instrumentation specifically to develop and test therapies to restore vision in the blind. The National Eye Institute (NEI), part of the National Institutes of Health, announced the awards as part of its Audacious Goals Initiative to tackle the most devastating and difficult to treat eye diseases. The central goal is to restore vision by regenerating neurons and neural connections in the eye and visual system. The initiative places special emphasis on cells of the retina, including the light-sensitive rod and cone photoreceptors, and the retinal ganglion cells, which connect photoreceptors to the brain via the optic nerve. For the entire article, visit the University Newscenter. Medications are available to treat many of the symptoms of neurodegenerative diseases like multiple sclerosis and Parkinson’s disease, but there is no drug or other therapy that improves the memory and cognitive problems that often plague patients. A new start-up company, built around research conducted at the University of Rochester School of Medicine and Dentistry, hopes to change that. Camber NeuroTherapeutics Inc., founded based on discoveries made in the laboratories of Harris "Handy" A. Gelbard, M.D., Ph.D. and Stephen Dewhurst, Ph.D., plans to attack the cognitive component of neurodegenerative diseases using a completely new approach: stopping the inflammation in the brain, so-called neuroinflammation, that impairs the function of nerve cells and the vast networks they create. These neural networks allow us to store and recall memories, plan and prioritize, focus on particular tasks, and process sensory information. David I. Yule, Ph.D., Professor of Pharmacology and Physiology; of Medicine, Gastroenterology/Hepatology; and in the Center for Oral Biology has been invited to join the Editorial Board of Gastroenterology. Gastroenterology is the preeminent journal in the field of gastrointestinal disease. Gastroenterology is ranked 1st of 74 journals in the Gastroenterology and Hepatology category on the 2013 Journal Citation Reports, and has an Impact Factor of 13.926. As the official journal of the American Gastroenterological Association, Gastroenterology delivers up-to-date and authoritative coverage of both basic and clinical gastroenterology. Regular features include articles by leading authorities and reports on the latest treatments for diseases. Original research is organized by clinical and basic-translational content, as well as by alimentary tract, liver, pancreas, and biliary content. Melinda Vander Horst (BME Class 2015) presented her recent research at the 29th Annual National Undergraduate Research Conference (NCUR) held at Eastern Washington University in April. NCUR is an interdisciplinary conference where undergraduate students representing universities from around the world present their research and creative works. Melinda presented her poster, titled Development of a dual transducer system for ultrasound standing wave field-induced particle banding , with co-authors Eric Comeau (BME graduate student), Denise C. Hocking (Pharmacology & Physiology), and Diane Dalecki (BME). Melinda is a Xerox Undergraduate Research Fellow working with Professors Dalecki and Hocking on new ultrasound technologies for tissue engineering. Jennifer H. Anolik, M.D., Ph.D., associate professor of Medicine in the Division of Allergy/Immunology and Rheumatology, was named a member of the American Society for Clinical Investigation, one of the nation’s oldest and most respected medical honor societies. Anolik, who runs URMC’s Lupus Clinic and Program, was nominated for her work conducting translational and basic science research on lupus and rheumatoid arthritis. She joins 18 other Medical Center faculty members who have been inducted into the Society in the past. Anolik is a former URMC MSTP (M.D., '96) and Biochemistry (Ph.D., '94) student. During her time in the program, she conducted research with Robert Bambara, Ph.D. and Russell Hilf, Ph.D..
Anolik’s research focuses on the role of B cells in systemic autoimmune disease through synergistic and innovative approaches in translational immunology and animal models. It has fundamentally contributed to the understanding of how and why B cell targeted therapies can be efficacious in subsets of lupus and rheumatoid arthritis patients and established these therapies as a major advance in the field of immunologic disease. Her work has broad implications for other autoimmune diseases such as vasculitis and diabetes, as well immunologic diseases like malignancy and immune deficiency. Under Anolik’s leadership, URMC was one of 11 research groups across the country recently chosen by the National Institutes of Health to join the NIH Accelerating Medicines Partnership in Rheumatoid Arthritis and Lupus Network, a partnership between the NIH, biopharmaceutical companies, advocacy organizations and academic scientists to more rapidly identify promising drug targets and develop new treatments for patients with these conditions. Anolik’s team was selected for this highly competitive award based on the novelty of their translational research proposal coupled with the unique collaboration between Orthopaedics and Rheumatology at URMC. Kraft Macaroni & Cheese -that favorite food of kids, packaged in the nostalgic blue box—will soon be free of yellow dye. Kraft announced Monday that it will remove artificial food coloring, notably Yellow No. 5 and Yellow No. 6 dyes, from its iconic product by January 2016. Instead, the pasta will maintain its bright yellow color by using natural ingredients: paprika, turmeric and annatto (the latter of which is derived from achiote tree seeds). Bernard Weiss, professor emeritus of the Department of Environmental Medicine at the University of Rochester Medical Center who has researched this issue for decades, says he is frustrated that the FDA has not acted on the research showing the connection between artificial dyes and hyperactivity. All the evidence we have has showed that it has some capacity to harm, he says. In Europe that's enough to get it banned because a manufacturer has to show lack of toxic effects. In this country it's up to the government to find out whether or not there are harmful effects. Weiss supports banning artificial colors until companies have evidence that they cause no harm. Like most other scientists in this field, he thinks more research, particularly investigating dyes' effects on the developing brain, is imperative. Read More: Does Artificial Food Coloring Contribute to ADHD in Children? Grayson Sipe, Ph.D. candidate and Margaret H. Kearney, PhD, RN, FAAN, Professor and Vice Provost & University Dean of Graduate Studies. Grayson Sipe, a Neuroscience Graduate Program student in Dr. Ania Majewska's lab, studying the roles of microglia during synaptic plasticity, has been named a winner of the 2015 Edward Peck Curtis Award for Excellence for Graduate Student Teaching. Only a handful of these are awarded each year, and all this year's nominees were extremely well-qualified. Lynne Maquat, the J. Lowell Orbison Distinguished Service Alumni Professor in the Department of Biochemistry and Biophysics, and Research Assistant Professor, Tatsuaki Kurosaki, Ph.D. have been awarded FRAXA Postdoctoral Fellowship for their application entitled, Re-purposing clinically approved drugs to dampen hyperactive nonsense-mediated mRNA decay in fragile X syndrome . The FRAXA Research Foundation was extremely impressed with their proposed research, and delighted to support this exciting work . Funding of 45,000 has been authorized for the period from May 1, 2015 to April 30, 2016. Congrats to both Lynne and Tatsuaki! Gloria Culver, former Biochemistry graduate student in the Phizicky Lab, has been appointed dean of the School of Arts & Sciences, effective immediately. Culver is currently a professor of Biology and Biochemistry & Biophysics. Peter Lennie, the Robert L. and Mary L. Sproull Dean of the Faculty of Arts, Sciences & Engineering, made the announcement following a yearlong national search. Culver has been serving as interim dean since July 1, 2014. Biochemistry & Biophysics Professor, Harold Smith, PhD has been awarded a Drug Development Pilot Award for his project, Development of an Assay for High Throughput Screening for Antagonists of the Ebola VP40 Protein Function . The project was externally reviewed by leading drug development researchers and received a meritorious score. To learn about Dr. Smith's research please visit the Smith lab site. In 1965, a young Victor Laties left Johns Hopkins for the University of Rochester and never looked back. 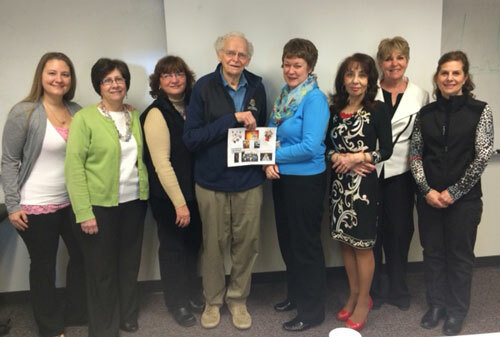 In 2015, Vic celebrated his 50th year at the University of Rochester Medical Center-a feat not surpassed by many. Primarily in the department of Environmental Medicine, Vic has touched many lives over the years with his great work ethic, caring attitude, his love of toxicology, and his fantastic photos that have graced the Environmental Medicine, Environmental Health Sciences Center (EHSC), and Toxicology websites over the past 50 years. The first director of the toxicology training grant, that is now in his 37th year, Vic has been integral to it's success and has created many memories and passed down a wealth of knowledge to hundreds of students. Beginning in the departments of Biophysics, Psychology, and Pharmacology Vic has also made many a friend and has been a valued colleague to his peers. Vic has remained on the editorial board for the Journal of the Experimental Analysis of Behavior since 1962 (and the webmaster for the JEAB/JABA site), and has served as editor for several other experimental therapeutics and pharmacological journals throughout the years. Vic won the Distinguished Service to Behavior Analysis Award from the Society for the Advancement of Behavior Analysis (SABA) in 1995 and 2003-the only person to win this award twice. He was a major figure in the development of both behavioral pharmacology and behavioral toxicology. His work with the Society for the Experimental Analysis of Behavior (SEAB) journals has been essential to their development and their sustained excellence over the last forty years. To date he has published well over 100 journal articles, book chapters and various other publications. Vic's love of toxicology and the department is surpassed only by his love for his wife and family as he officially retires today and moves to Maryland to be closer to them and enjoy the nice weather. The department and all of his colleagues wish to express their heartfelt gratitude for the many years of service and contributions that he has given. He is truly one of a kind and will be missed. To read more about Vic's many accolades please see the Association for Behavior Analysis International article and view his CV. Lynne Maquat, the J. Lowell Orbison Distinguished Service Alumni Professor in the Department of Biochemistry and Biophysics, will present the 17th annual Marvin J. Hoffman Lecture, "RNA and the New Genetics: From Bench to Therapeutics." The lecture begins at noon Friday, April 17, in the Class of '62 Auditorium (G-9425), Medical Center. RSVP to 273-5937 or apullen@admin.rochester.edu. Former Toxicology graduate student in Alison Elder's lab, Brittany Baisch (PhD ’13) won the Nanotoxicology Specialty Section Best Publication 2015 Award at the Society of Toxicology (SOT) annual meeting in San Diego, CA. last week. She won the award for the paper, Equivalent titanium dioxide nanoparticle deposition by intratracheal instillation and whole body inhalation: the effect of dose rate on acute respiratory tract inflammation. Brittany is currently working as a toxicologist at Kraft Foods. NGP student (with the support of PONs and SfN Rochester Chapter) organized the annual Brain Awareness Week and provided activities for grades K-3 at area schools. Over the span of 2 weeks, from March 16-27, NGP students visited 19 classrooms at three different schools (Colebrook School in Irondequoit, Indian Landing in Penfield and West Ridge in Greece), grades K-4 working with over 350 kids! They brought activities to the kids that focused on signal transduction, memory and perception. There was a team of 35 volunteers, including BCS and neuroscience undergrad and grad students that traveled to the schools. 6 NGP students were among the volunteers (Julianne Feola, Christy Cloninger, Jenn Stripay, Becky Lowery, Ryan Dawes and Susanne Pallo) participating in the planning and organization of the activities, school visits and training sessions. Visit the Brain Awareness Week Facebook page for more information. Read More: Celebrating Brain Awareness Week! 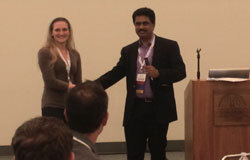 Postdoctoral Fellow in the Cory-Slechta lab, Marissa Sobolewski, PhD finished second in the Neurotoxicology SS Toshio Narashashi Postdoctoral Fellow Poster Award at the Society of Toxicology (SOT) annual meeting in San Diego, CA. last week. 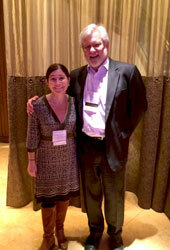 Marissa also recently won the Richard Butcher New Investigator Award from the Neurobehavioral teratology society. Her research focus is Neurotoxicology, Etiology of neurobehavioral disease, Endocrine dysfunction, Synergistic Toxicity. Congrats! UR Toxicology graduate students made a strong showing at the Society of Toxicology (SOT) annual meeting in San Diego, CA. last week. 3rd year graduate student, Elissa Wong (Majewska Lab) and 5th year graduate student, Sage Begolly (O'Banion/Olschowka Labs) both won travel awards to attend and present their posters. 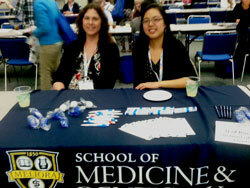 Elissa Wong and Dr. Alison Elder also attended the event, hosting the UR recruitment table at the Society of Toxicology (SOT) Committee on Diversity Initiatives (CDI) session. Congrats to all! View all of the photos from the SOT meeting. Laurie Robak, MD, PhD, who graduated from the IGPN program in 2009, is a clinical fellow in the Laboratory for Integrative Functional Genomics, and is also currently completing her dual residency training in pediatrics and medical genetics. July 1st of this year, Laurie will be a postdoctoral research associate/clinical instructor in the laboratory of Dr. Joshua Shulman at Baylor Medical College, researching the genetics of Parkinson’s disease. Laurie recently received the Pfizer/ACMG Foundation Translational Genomic Fellowship Award. Robert T. Dirksen, Ph.D. will serve as chair of the Department of Pharmacology and Physiology at the University of Rochester School of Medicine and Dentistry effective July 1, 2015, pending approval by the University Board of Trustees. Dirksen, who has conducted research and taught medical and graduate students at the University since 1998, is known for his superb track record of federal funding, his collaborative nature and his ability to inspire and engage trainees and colleagues alike. Barbara H. Iglewski, Ph.D., professor emeritus in the Department of Microbiology and Immunology at the University of Rochester School of Medicine and Dentistry will be inducted into the National Women's Hall of Fame later this year, an incredible honor that puts her aside women’s rights activist Susan B. Anthony, former first lady Betty Ford, and founder of the Susan G. Komen Breast Cancer Foundation Nancy Brinker. Congrats to Nguyen Mai, MD/PhD student, in Dr. Marc Halterman's lab for receiving an individual fellowship F30 from NIH's National Institute of Neurological Disorders and Stroke for her work on Role of lung-brain coupling on neutrophil priming and reperfusion injury following global cerebral ischemia . 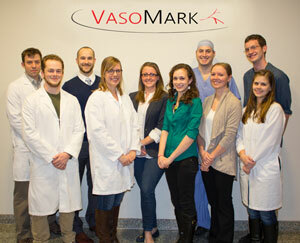 VasoMark advances to the next phase! A group of students from Neuroscience Graduate Program and Neurosurgery Residency Program have teamed up to compete in the National Institutes of Health Neuro Startup Challenge . This new effort offers pre- and post-doctoral students from biomedical, legal, and business backgrounds the opportunity to compete for licenses to patented technologies from the NIH portfolio. The teams model a business around the intellectual property, and seek startup funding from partnering angel investor and venture capitalist firms in order to bring the proposed technology to the biomedical marketplace. The NGP and Neurosurgery team, named VasoMark, selected two patents for the development of a minimally invasive diagnostic for the detection of primary and recurrent malignant brain tumors. VasoMark successfully completed Phase I of the competition, where they developed a two-minute elevator pitch and executive summary describing their intended entrepreneurial use of the selected technology. They are currently developing a business plan and live investor pitch describing their business model, intended market, and future areas of expansion for their selected patents. Anna Bird, an IMV graduate student in the Anolik lab has been awarded pilot project grant through the Pilot Studies Program of the CTSI. Anna’s application entitled, “Neutrophils as a driver of inflammation in lupus bone marrow” was felt to be highly meritorious and received a priority score enabling her proposal to be funded. Dr. Robert E. Marquis, PhD, was chair of the Department of Microbiology and Immunology at the University of Rochester School of Medicine and Dentistry, and a beloved teacher to many students who trained at the medical school and at the university’s College of Arts and Sciences. He died in January 2014 at the age of 80. Originally from Ontario, Canada, “Bob” earned his M.S. and PhD degrees from the University of Michigan in Ann Arbor. He spent two years as a post-doctoral fellow at the University of Edinburgh in Scotland, where he studied under the guise of Peter Mitchell, a British biochemist who was awarded the 1978 Nobel Prize in Chemistry. Bob began his career at the University of Rochester in 1963 as a senior instructor in Microbiology and was continuously funded by the National Institutes of Health until his retirement as a professor in 2012. During his early years at the medical school, he studied energy transduction – how cells and bacteria develop energy from food. From the 1970s until the end of his career he focused on oral streptococci, a type of bacteria present in the mouth that are major contributors to tooth decay. He had a secondary appointment in the Center for Oral Biology and his work on the effects of fluoride on cavity-producing bacteria earned him international recognition and the 2006 Distinguished Scientist Award for Research in Dental Caries from the International Association for Dental Research. As passionate as Bob was about his research, he was equally, if not more passionate about the colleagues, trainees, and students he worked with every day. He influenced the lives of many graduate students who considered him to be a remarkable colleague, mentor and friend. It is not surprising then that many of Bob’s graduate students went on to assume distinguished careers in academia, industry, or public health service. Bob's influence also included undergraduate students on the University of Rochester’s River Campus, where he was a founding director of the Undergraduate Program in Biology and Medicine. This program combines the College of Arts and Sciences and the School of Medicine and Dentistry to provide courses for undergraduate students with lectures, laboratory work, specialty seminars and research experiences. 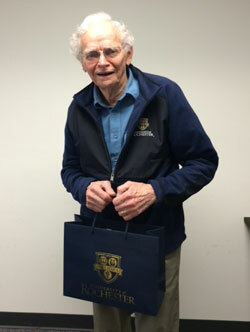 Bob helped start the program in the early 1980’s and it led to the creation of the Bachelor’s of Science degrees in Biological Sciences, which includes tracks in Biochemistry, Cell and Developmental Biology, Ecology and Evolutionary Biology, Microbiology, Molecular Genetics, and Neuroscience. Thanks to Bob’s work, the program is a major conduit for undergraduate students into research labs at the medical school. Outside of the University, Bob loved the Rochester Philharmonic Orchestra and was a huge fan of theater, traveling annually to the Shaw Festival in Niagara-on-the-Lake and the Shakespeare Festival in Stratford, Ontario. He was also known to fly to London with his wife on a regular basis to catch plays in London’s West End. Another hobby was custom brewing, an art that he shared and passed on to many. This mini-symposium honors the memory of the late Robert E. Marquis and the knowledge he eagerly shared with students, trainees and early career faculty members. Its main objective is to promote information exchange among scientists who engage in oral microbiology and immunology research and clinical studies pertaining to oral health and disease, and to provide a forum through which new investigators entering the field can network with established investigators and so create contacts that can help nurture their research progress and productivity. Please view the NBC news video about this article. Emissions from e-cigarette aerosols and flavourings damage lung cells by creating harmful free radicals and inflammation in lung tissue. Several leading medical groups, organizations and scientists are concerned about the lack of restrictions and regulations for e-cigarettes, said Irfan Rahman, lead author and professor of environmental medicine at University of Rochester Medical Center. Alejandro Avilés Reyes, a graduate student in the Lemos Lab and lab of Jacqueline Abranches, Ph.D., has been selected for the 2015 Arnold Bleiweis Travel Award, to present his work entitled "Modification of Streptococcus mutans Cnm by a novel glycosylation pathway". Mr. Avilés Reyes will give his presentation during the upcoming General Session of the International Association for Dental Research Conference, to be held March 10-14, 2015 in Boston, MA, as part of the first Robert Marquis Mini-Symposium for Young Investigators in Microbiology and Immunology. Congrats to Fatima Rivera-Escalera, a fifth-year student in the Olschowka Lab who was awarded a Keystone Symposia Scholarship to attend the Keystone Symposium on Neuroinflammation in Diseases of the Central Nervous System in Taos, NM from January 25-30th, 2015. The study is funded and designed by Beth Israel Deaconess Medical Center (BIDMC), which received support for a Collaboration for AIDS Vaccine Discovery grant from the Bill & Melinda Gates Foundation. The URMC team and BIDMC are collaborating with the International AIDS Vaccine Initiative, which is helping to organize the study through its Vaccine Product Development Center to provide services to BIDMC grantees. This is one of the first studies to benefit from this partnership and URMC is the only center in the world testing this vaccine. Several neuroscience graduate students and clinicians from the University of Rochester are involved in the NIH Neuro Start Up Challenge and have developed their elevator pitch and executive summary as part of the public voting phase. We encourage the neuroscience community to visit their Showcase page and provide votes and constructive feedback on the discussion board this week. Public voting will run Monday, January 12th through Friday, January 16th. About the Challenge: The Neuro Start Up Challenge, launched by the NIH in partnership with the CAI and HPN, is designed to bring brain-related, patented technologies from the NIH to market. Teams of medical, scientific and business experts compete in several phases to create a company and execute a business plan with the ultimate goal of launching their start-up. A new $3.8 million grant will bring together clinical and bench researchers to better understand why individuals who receive anti-retroviral treatment for HIV are at greater risk for heart disease and stroke.